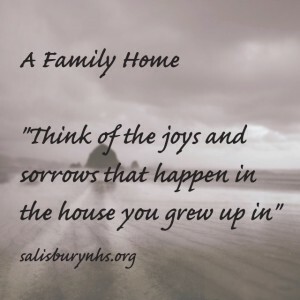 *Mr. Underhill, like so many others in the past 9 years, received a foreclosure notice in the mail and attached to that notice was the contact information for Salisbury Neighborhood Housing Services. Mr. Underhill contacted our office and was assigned Jane Hoy as his financial counselor. The rest, as they say, “is history.” Jane and Mr. Underhill hit it off right away. He knew she had his best interests in her heart and she was knowledgeable in foreclosure prevention and loan modifications. He took the advice Jane gave him, as well as the plan they had crafted together, and got to work. After months of dedicated budgeting, saving and planning; Jane worked with Mr. Underhill to eventually get a loan modification. After a year of diligent saving and budget success and a series of health issues, another loan modification was achieved as well. All because Mr. Underhill took ownership of his financial situations and did the work to help ensure success- and now that the payment is one he can afford, he can look to the future and set goals.